Massachusetts Attorney General Maura Healey and the City of Boston will appeal a court ruling about the release of information about officials who have been accused of crimes. Attorney General Maura Healey and the City of Boston are fighting a court ruling that would have made it easier to find out information about government officials accused of crimes. 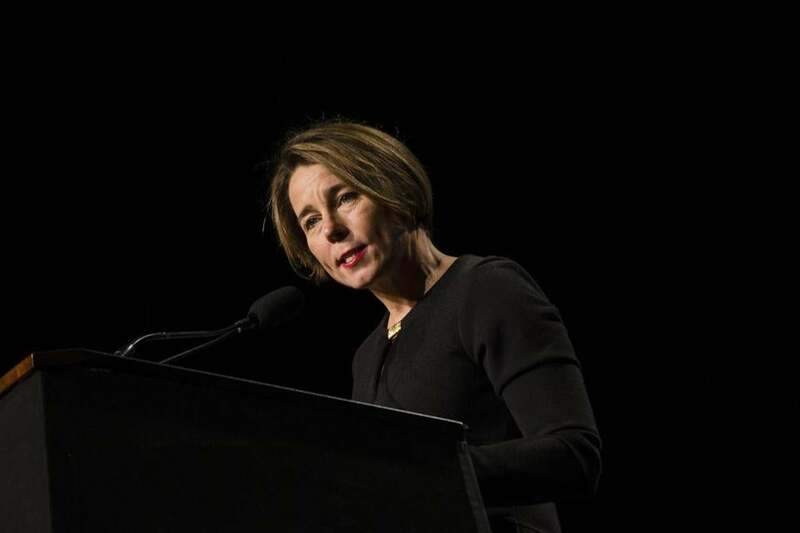 In court documents filed this month, Healey’s office and the city said they plan to appeal a Suffolk Superior Court ruling issued late last year. In a 15-page decision, Judge Douglas H. Wilkins barred law enforcement agencies from rejecting requests for mug shots for police who have been arrested and incident reports about public officials caught breaking the law. First Amendment attorneys say the appeal is the latest example of the hurdles in obtaining government records in Massachusetts, despite an overhaul of the public records law more than a year ago. Both the Boston Police Department and Mayor Martin J. Walsh’s office declined comment. The attorney general’s office said it is challenging the court ruling to defend the rights of people — including ordinary citizens and government employees — who have brushes with the law. Snyder said the office is trying to clarify whether police are obligated to provide everyone’s mug shot and arrest report in response to records requests. The Globe filed a lawsuit in May 2015 after state and local police refused to provide records in several cases where police officers were caught driving under the influence and a district court judge was accused of stealing a $4,000 Cartier watch at Logan Airport. Boston police declined to provide the names of officers arrested for drunken driving, even though the department has posted items on its website after civilians were arrested on similar charges. In a separate records battle, the Massachusetts Department of Correction rejected public access to inmate booking logs, even though the agency provides the data to a for-profit company that publishes much of the information online. In each case, the agencies cited the state’s Criminal Offender Record Information law to justify the denial. In 1972, the Legislature passed the CORI law to create a database of criminal records. The Legislature has limited access to the full centralized state database, in part to help former criminals move on with their lives and find jobs and housing. But some officials have insisted the CORI law allows them to withhold a wide range of other criminal records outside of the database. In a controversial 2015 opinion, an official in Secretary of State William F. Galvin’s office ruled that police have “the discretion to withhold records determined to be CORI,” including booking photos and incident reports for police arrested for drunken driving. In Suffolk Superior Court, Globe attorneys argued that the current version of the CORI law only limits public access to the state CORI database — not other criminal records. The Superior Court ruling did not fully address those arguments. But Wilkins ruled that the CORI law only deals with records after a criminal complaint is issued, so it wouldn’t normally cover booking photos and incident reports. In addition, the judge noted that a state board charged with investigating CORI complaints has never found any violations for giving out mug shots or incident reports, even though the Globe has frequently obtained those records from other law enforcement agencies. Wilkins also ruled that inmate booking logs are public because the law specifically says that people are entitled to find out if someone is incarcerated. The state has not appealed that portion of the ruling. While the legal appeal plays out, the Legislature is mulling whether to expand the scope of the state public records law. Massachusetts is currently the only state in the country where the Legislature, judiciary, and governor’s office all claim to be completely exempt from the law. A legislative commission is examining whether to change that. The commission was originally supposed to issue a report last year, but received an extension until the end of 2018 and met for the first time this month. The Legislature also charged a working committee last year with reviewing access to law enforcement records, though the group was unable to agree on any recommendations.